Kodaikanal is the most popular tourist spot in Tamil Nadu and this amazing hill station in South India is home to a large number of travel activities. The diversity of this hill station in South India makes it a popular travel destination and the unique landscape of this place makes it home to a various number of travel activities. 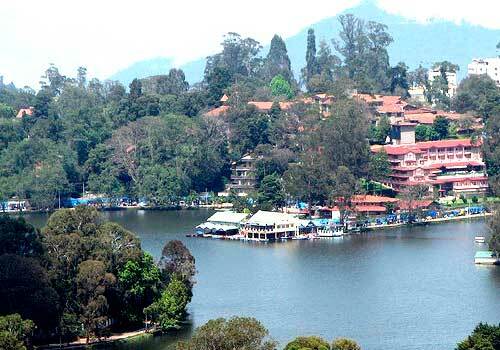 Once you reach Kodaikanal, you will be really confused on what all things to do and which places to visit. All the travel attractions in Kodaikanal are of equal importance and at times you will find it really hard to get enough time to visit all these attractions. Due to the large number of attraction in Kodaikanal, you will also not be able to enjoy all the activities that are mentioned in a tour guide or travelogue. Rather you need to select some of the best travel activities that you are more interested, so that you will not leave Kodaikanal with disappointment. Here I would like to mention some of the most important travel activities that you should do, while on your tour to Kodaikanal. Hope you enjoy reading it. Kodaikanal Lake is the hallmark of Kodaikanal hill station and a trip to this place without enjoying the serene beauty of the Kodaikanal will be a great miss. The Kodaikanal Lake offers the opportunity to take a boat ride which helps you to explore the beauty of this hill station town to a better extend. You can also hire a bicycle or a motor bike which helps you to travel around the lake and enjoy its beauty and calm atmosphere. There are also a lot of small shops which helps you to enjoy a small scale shopping experience. The Coaker’s walk is a narrow pedestrian path, which was constructed by Lt. Coaker in 1872. The walk is a one kilometer mountain road running through the edge of the steep slopes on the southern side of the Kodai road. The Coaker’s walk helps you to get an amazing view of the Valley and there are also various places to sit and relax. Make sure to watch the sunrise in the morning and clear valley in the evenings which are really worth viewing. During the winter seasons, you will also be able to view snow like clouds, which is also known as ‘Brachem Spectre’. The Chettiar Park in Kodaikanal is another beautiful attraction, which is set in the hills and for those who is interested in exploring the amazing flora and fauna, this is the best to be. One can see a wide variety of flowers, trees, bushes and shrubs which add more beauty to this amazing park. Unlike other parks in Kodaikanal, this one is less crowded and hence you will be able to relax and enjoy your trip in a much better way. The 40 degrees inclination of the Chettiar Park makes it a perfect adventure destination for adventure activities such as trekking. In the midst of your Kodaikanal trip, if you ever feel spiritual and wish to visit any temple nearby, then the Kurinji Andavar Temple in Kodaikanal is the most recommended one. The temple is located around 3 kilometers from Kodaikanal Lake and is closely tied with the famous ‘Kurinji Flowers’ which covers the hills once in every 12 years. Since the temple is situated on the top of the hill, you will also be able to get a better view of the surroundings. The temple is less crowded and well maintained which makes your visit more comfortable. The Shenbaganur Museum in Kodaikanal is a major travel attraction of this beautiful place and is located 5 km away from the Kodaikanal lake. Also known as “Flora and Fauna” museum, it is home to around 300 species of exotic and indigenous orchids, fossils and a variety of flora and fauna. The museum is considered to be one of the best orchidoriums in India, and is home to around 300 species of flower gardens and trees. So if you are visiting Kodaikanal, then a visit to the Shenbaganur Museum is something that you should not miss out on. This entry was posted in Kodaikanal and tagged activities at kodaikanal, kodaikanal, kodaikanal travel, things to do at kodaikanal. Bookmark the permalink. very informative post yet again !! nice ! I like the kodai most during the month of march to april, as it is the coolest place to visit during summer.